Devices and nodes are both terms used to describe individual Z-Wave devices. The process of adding a Z-Wave device to the Z-Wave network. Also known as "pairing". The opposite of inclusion. The process of deleting a Z-Wave device from the Z-Wave network. Also known as "un-pairing". To take a device out of a group, scene or association group while that device still exists in the same Z-Wave network. A collection of Z-Wave devices controlled by primary and secondary controllers operating on the same system. The first controller used to "build" your Z-Wave network and is generally a gateway or central hub like Vera. There can only be one primary controller per Z-Wave network. A secondary controller is created from the primary controller to also control devices in a Z-Wave network. Multiple secondary controllers may exist in any Z-Wave network including hand-held remote controls, key fobs and wall mounted keypads. A group is a collection of individual devices which may be controlled as one. For example, a single action or button on a controller could be used to turn a group of lights on or off. Scenes provide a means of controlling multiple (different) devices at once, all at specific levels, settings or modes. For example, a "bed-time" scene could be used to simultaneously lock the front door and turn all the lights off. Scenes are usually activated by a home controller based on a timed event or by a specific manual or automatic condition. The process of "associating” two devices, enabling them to communicate with one another directly and without the need for a central controller. FLiRS is an abbreviation for "Frequently Listening Routing Slave". It is a mode targeted for battery operated Z-Wave devices to allow them to regularly enter a special sleep state in order to conserve battery life. Devices configured this way tend to respond to Z-Wave commands more slowly when compared to an Always Listening device.  Always Listening is the default operation mode for A/C powered Z-Wave devices. These devices can act as signal repeaters meaning that they can re-transmit the RF signal to enhance routing and avoid interference. ​The Node Information Frame (or NIF) is the business card of a Z-Wave device. It contains information about the device type and its technical capabilities. The inclusion and exclusion of the device is confirmed by sending out a Node Information Frame but may also be needed for certain network operations.